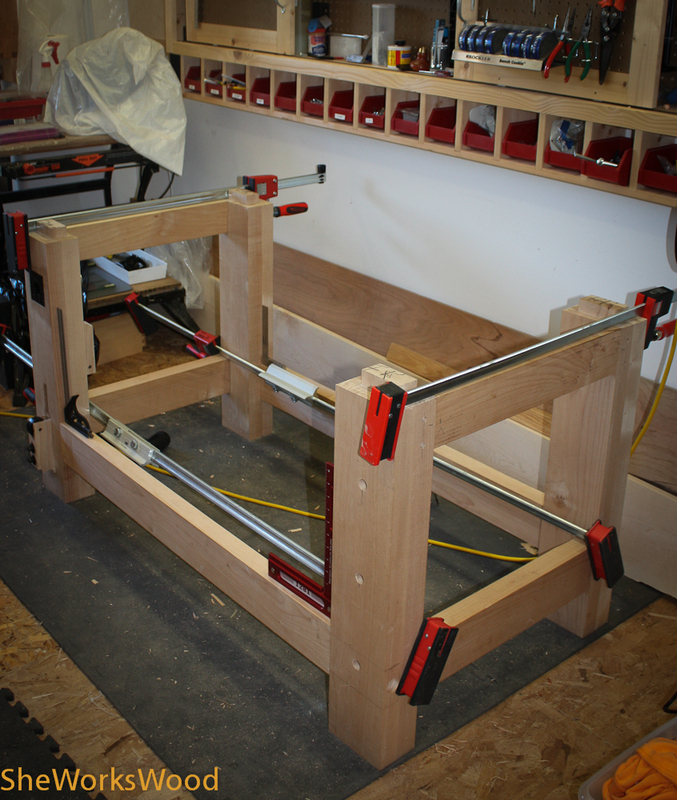 I did manage to get all my workbench base pieces fitted and dry assembled. One trick I used was chalk on my tenons for fitting. I chalked the tenons once they start to fit but get stuck. 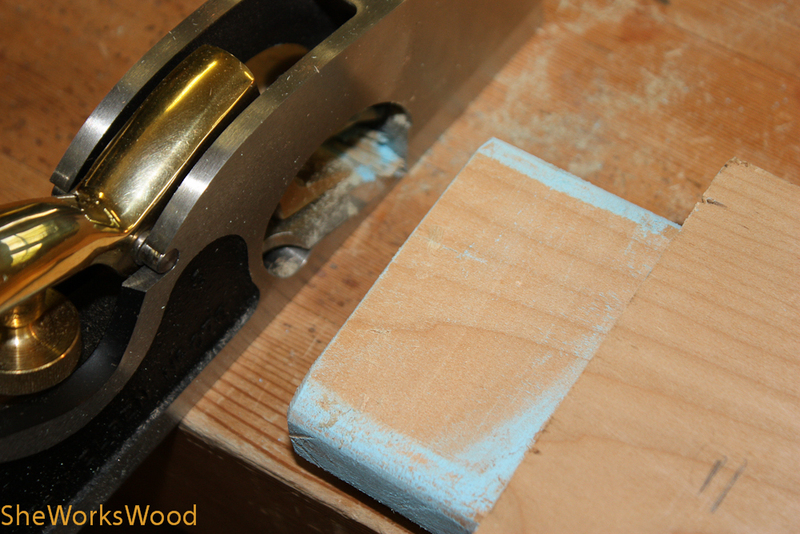 When I slide the tenon in, the areas that are sticking rub the chalk off. And that’s .. where I focus my trimming for the perfect fit. Nice tip! I’ll have to give that a try on my next project. And, of course, it also helps you see problem inside the mortise. 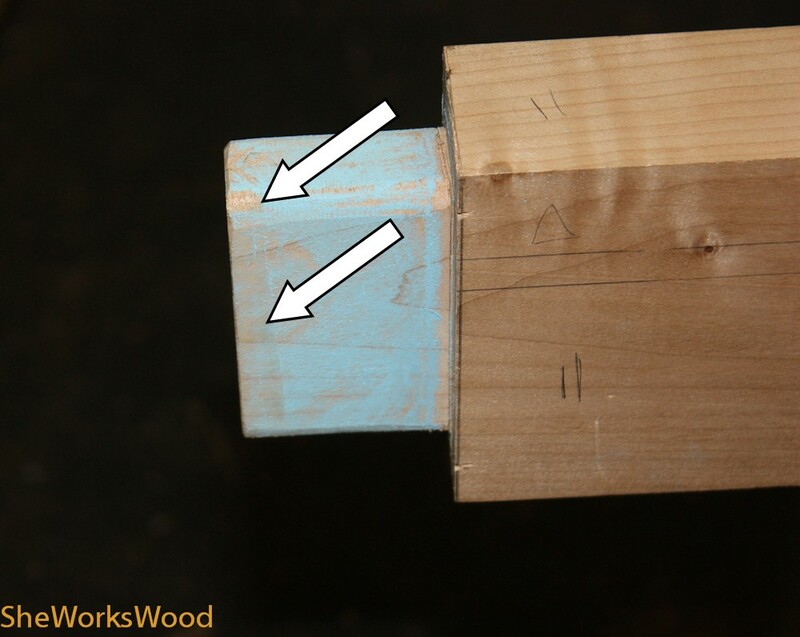 I’ll second that – an excellent tip for fitting tenons!